Gamers who attended the event have also offered their support to Team17 and acted as brand advocates, stating their appreciation and overall enjoyment they experienced whilst at the exhibition. The Web Scoop, or digital wall, has been the perfect tool to show off all of these positive well wishes! The full integration of a Web Scoop goes beyond the initial campaign by touching on all social elements after the event, to create a focal point for all further social interaction with the brand. 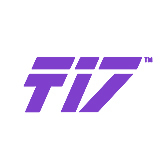 Team17 Digital Ltd. were originally founded in 1990 and have grown to become a leading independent developer and digital publisher. Based in West Yorkshire (UK), Team17 publishes games for PC, console, mobile and handheld devices and other digital platforms, including the Worms series. EventBeat and Team17 collaborated at this year’s Pax East in Boston, one of the two largest gaming shows in North America, to help advertise and boost the number of indies from across the globe! Throughout the three-day expo, images & comments aggregated from Twitter were illustrated onto the Team17 screen, endorsing the social nature of the event. As well as a general comments feed appearing on the screen, a separate bespoke feed was also designed to include a random array of social media avatars, known as the ‘Great Wall of Indie’. This particular project provided so much more than just a Twitter Wall, as it assisted in the promotion of individuals on the Great Wall to help construct an online social community. The first Boston Pax East event occurred in 2010 through the successful expansion of previous exhibitions, originating in Bellevue, Washington in 2004. This small 4,500 person event has since grown exponentially, so much so that venue capacities have easily been filled and expos now last between 2-3 days. For those that were unfortunate enough to have missed the exhibition, an EventBeat Web Scoop was implemented to allow for further brand endorsement, ensuring nobody was left out of the social community. Prizes have since been awarded to the best avatars & tweets that were published on Twitter.